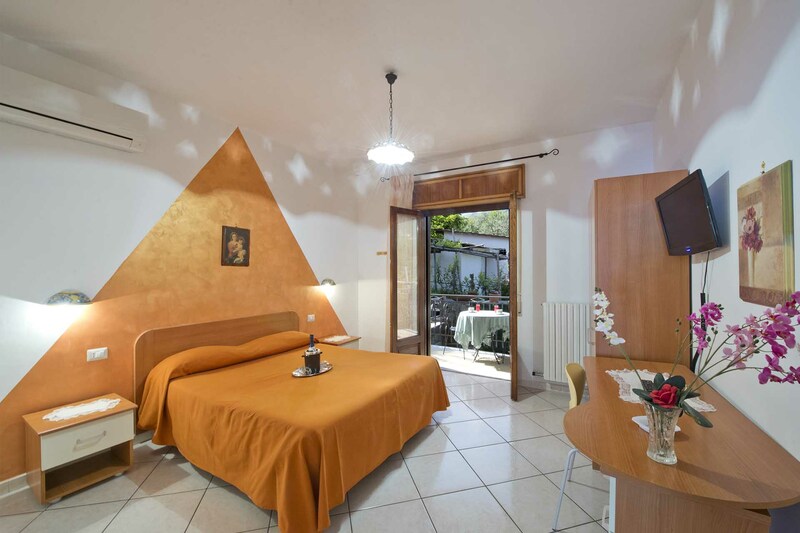 Enchanting b&b Agerola on the wonderful Amalfi Coast: b&bHaidi House! Comfortable b&b in Agerola.Theb&bAmalfi Coast Haidi House offers spacious and bright rooms well furnished, Wi-Fi, private terrace. Parking and garden The newly built rooms of the b&b Agerola, double, triple and quadruple, are very spacious and bright, equipped with TV, heating, air conditioning, Wi-Fi, wardrobe, desk and chair, bathroom with hairdryer, heated towel rail, sink, toilet, bidet, shower or bath. A spacious private terrace, equipped with deck chairs, tables and chairs, overlooking the courtyard, ideal for your relaxing moments. Attention to detail, offering all comfort, the rooms have simple, elegant and welcoming furnishings. The breakfast, varied and tasty, with fresh and genuine products, in sweet or savory version, enriched with delicious homemade desserts, is served in the breakfast room or in the pretty garden, perfect for your outdoor moments. At the reception of the b&b Haidi House in Agerola you will receive all the information about the means of transportation to reach the Amalfi Coast or to the towns situated in the direction of Naples, the trekking paths, scenic places, events and folklore, typical gastronomic products of the local tradition.